Town Park - Playford Alive's heart and meeting place. 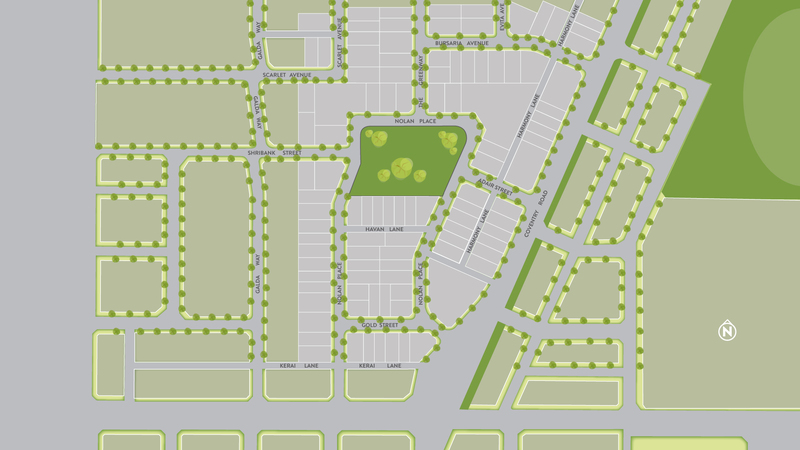 The award-winning Town Park was designed collaboratively with our local community. Stretton Centre - An action learning and innovation hub. Includes a library, café (opening soon) and offices for researchers, government, business and community organisations to work together on industry/workforce development. Woolworths Playford Town Centre - Based on a traditional main street design with high quality streetscape. People can catch up and enjoy a coffee while the kids play in the playground. Now open, the Playford Town Centre features a Town Square, 16 specialty stores and a supermarket. Woolworths Development Stage 2 - This future development includes Big W and even more retail choices and specialty stores. McDonald’s - Opened in late 2013. Retail/Commercial Development – Includes House of Hair hairdresser, Marcellina’s Italian restaurant, Queen Bee Chinese restaurant, Indian Brothers restaurant and Captain Chicken & Seafood takeaway Shop. Apartments, Retail and Post Office – 3-storey mixed-use building with retail on ground level and two levels of apartments. GP Teaching & Training Facility – Run by Adelaide Unicare. Opened in 2013. GP Super Clinic –Services offered by general practitioners, registered nurses, practice nurses, psychologists/psychiatrist, physiotherapists, podiatrist, dietitian, audiologist, massage therapist, exercise physiologist and visiting general surgeon. Little Rockets Play Café – This biggest indoor play café in South Australia with a massive 600 square metre of play equipment and ride-on train. On The Run – Opened in August 2014. Commercial Site – Construction is underway. Hungry Jack’s – Opened in June 2014. This site was re-sold for $3.5 million — a massive boost for the Town Centre. 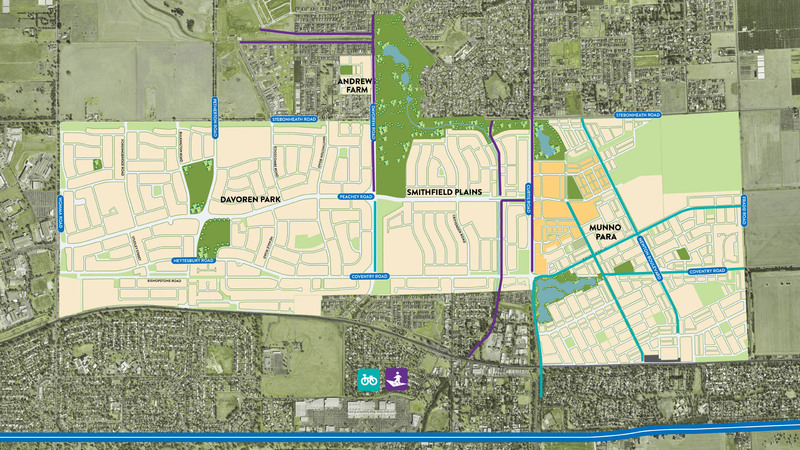 Future Retail/Commercial Development – A range of development options are still being considered by the developer. Playford Vet – For our furry residents. Opened in January 2015. Childcare and Gym – Anytime Fitness opened in September 2014. Stepping Stone (SA) Childcare and Early Development on the ground floor is now open. Playford Uniting Church – Overseen by Rev. Peter Riggs, the Playford Uniting Church officially opened in September 2015. 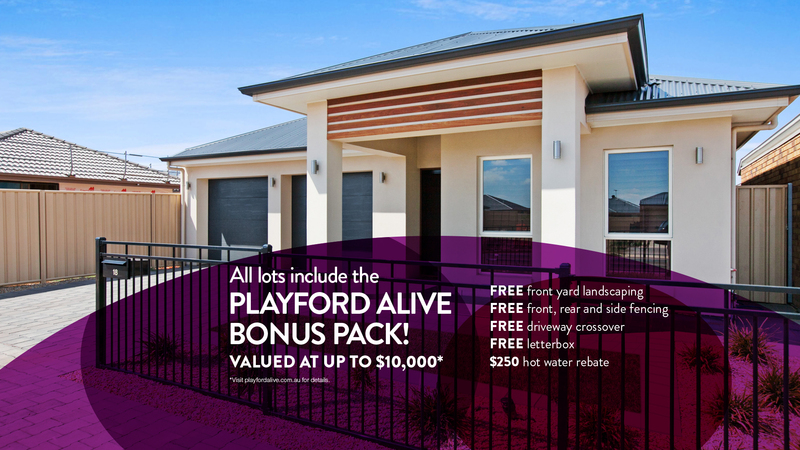 Playford Alive Display Village – Includes seven of Adelaide’s premier builders. Hickinbotham, Statesman Homes, Distinctive Homes, Sterling Homes, Rivergum Homes, CIP Homes and Weeks Group are now open. Playford Alive Sales & Information Centre. Town Life Living – Setting a new standard in smart yet affordable living, our award-winning Town Life Living homes are super stylish and offer outstanding value with low-maintenance designs close to the heart of town. 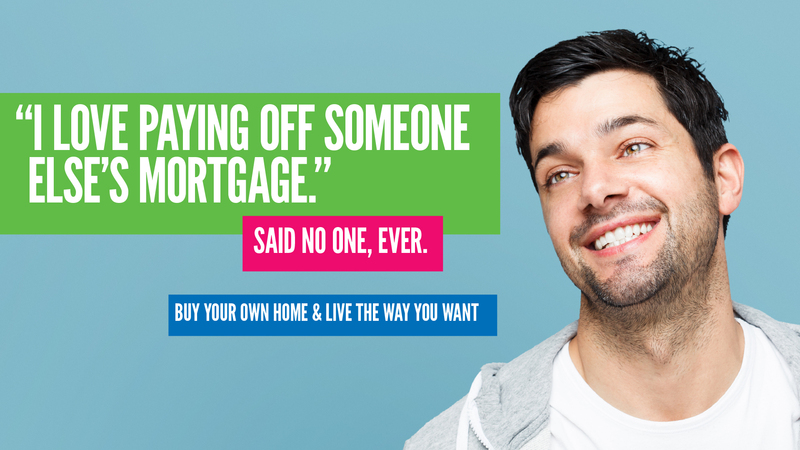 For more information talk to a Playford Alive Sales Consultant. - The kitchen includes a new gas cooktop oven. 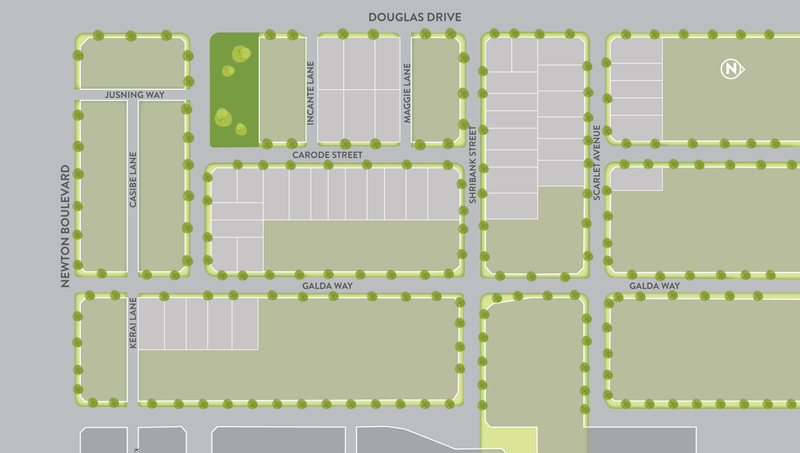 Playford Alive is an exciting new development that’s revitalising an area of approximately 1,000 hectares in northern Adelaide. 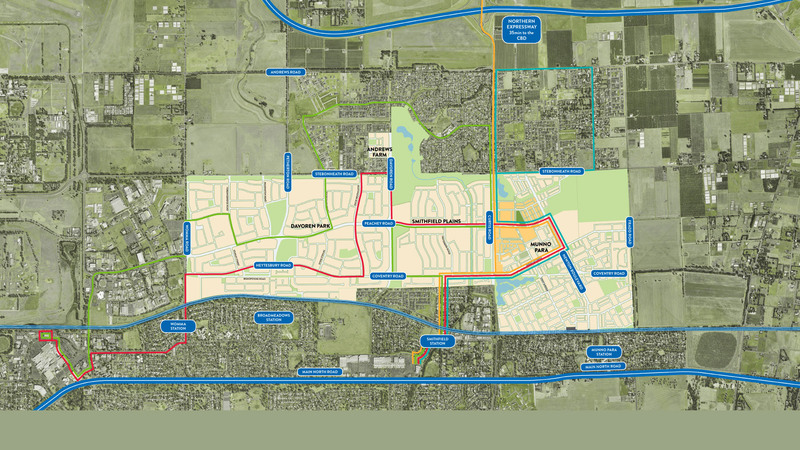 Conveniently close to Main North Road and the new Northern Expressway, the project features improved and expanded transport services, a new town centre, a GP super clinic, 2 new schools, a childcare centre, new parks and reserves and dedicated bike trails. Lovely street appeal opposite Garden College. Fixed site and footing costs! Based on land sale of $149,000. Note: floor plan will be reversed to suit the allotment and modified to meet the Playford Alive Design Code. Based on land sale of $150,000. Note: floor plan will be modified to meet the Playford Alive Design Code. Note: the floor plan will be reversed to suit Lot 1181. The unique floorplan makes it ideal for compact allotments while still offering three private outdoor living spaces. The segregated living and dining areas give the Austin a big-home feel in a clever, low-maintenance design. Perfect for small families (or housemates), the open-plan kitchen, living and dining area creates an ideal ground floor entertaining space with the convenience of an adjacent powder room. Upstairs, the two bedrooms boast private ensuites, while a study nook offers extra flexibility and a discrete balcony perfectly enhances the luxe master suite. The chic, modern Soho is perfectly crafted and tastefully designed throughout, offering open-plan living which flows to a private, light-filled balcony. Arranged for privacy and enjoyment, the home features a downstairs bedroom complete with ensuite and walk-in robe, and an upstairs bedroom, conveniently located to the rear. The Oxford’s modern design makes smart use of the space without compromising on quality. A large, integrated kitchen, dining and living area opens to the backyard, providing the perfect backdrop for socialising, while a separate upstairs living space with private balcony, offers a tranquil retreat away from the buzz of daily life. Seamlessly connecting the kitchen, living and dining to create a private entertaining space, the Tribeca makes the most of easy living. With powder room and space-saving laundry tucked away, the downstairs keeps the living and functional spaces all on one level. Upstairs features two bedrooms, the master with walk-in robe, a full bathroom and cleverly positioned study nook. Plus so much more. Enquire about this House and Land Package today! Cleverly designed across a single level, the one-bedroom Piccadilly combines contemporary styling and light-filled spaces. For the entertainer, the designer kitchen and open concept dining and living, means you’re never too far away from the action, while the main bedroom, with built-in robes, provides a welcome and tranquil retreat. With its spacious, open-plan kitchen, living and dining area on one floor, the Malmo is designed for relaxed, casual living. The gourmet kitchen makes entertaining a breeze and keeps the chef in the midst of the action, while upstairs delivers privacy, with a generous bathroom and two bedrooms with built-in robes. Fixed site and footings costs. No hidden extras! Samsung ducted reverse cycle heating and cooling system. The Middleton 2 is a unique design perfect for investors or extended families and combines a 2 bedroom, double storey family home with a single story 2 bedroom home on the one allotment. The cleverly designed Milano Cube offers a high quality double storey, two bedroom design with study located in the heart of Playford Alive’s new Town Centre. Downstairs offers open-plan living with private outdoor entertaining area and powder room. The stylish kitchen features stainless steel appliances including dishwasher, rangehood and gas cooktop. The master bedroom has a built-in robe and private balcony while the spacious second bedroom and separate study makes clever use of the space. The Milano Cube also includes reverse-cycle ducted air conditioning, automatic panel lift door to garage for convenience and added security, landscaped and fully fenced. The cleverly designed Milano Cube offers a high quality double storey, three bedroom design located in the heart of Playford Alive's new Town Centre. Downstairs offers open-plan living with private outdoor entertaining area and powder room. Stainless steel appliances including dishwasher, rangehood and gas cooktop complement the stylish kitchen. The Milano Cube features three spacious bedrooms with built-in robe to the master while study nook makes clever use of the space, reverse-cycle ducted air conditioning, automatic panel lift door to garage offers convenience and added security, landscaped and fully fenced. The Beverley offers a high quality double storey, three bedroom design located across from the new Playford Alive Town Park in the heart of the Town Centre. The open-plan kitchen/dining leading out to your very own private patio is perfect for entertaining while the stainless steel appliances including dishwasher, rangehood and gas cooktop complement the stylish kitchen. Luxury master suite with ensuite and walk-in robe is upstairs along with two further bedrooms and separate study nook makes clever use of the space. The Beverley also includes reverse-cycle ducted air conditioning, automatic panel lift door to garage offers safety and added security, landscaped and fully fenced. Overlooking the new Playford Alive Town Park, this luxury home offers low-maintenance living in a modern style in the heart of Playford Alive’s new Town Centre. Open-plan living leading out to your very own private patio is perfect for entertaining. The stylish kitchen features stainless steel appliances including dishwasher, rangehood and gas cooktop. The Oliver also has a luxury master suite with ensuite and built-in robe, reverse-cycle ducted air conditioning, automatic panel lift door to garage for convenience and added security, landscaped and fully fenced. Overlooking the new Playford Alive Town Park, the Taylor offers a contemporary design and low-maintenance living in the heart of Playford Alive’s new Town Centre. Open-plan living leading out to your very own private patio is perfect for entertaining, while a second living area offers additional room to move. Stainless steel appliances including dishwasher, rangehood and gas cooktop complement the stylish kitchen. The luxury master suite features ensuite and built-in robe. There are a further two bedrooms upstairs along with the main bathroom while a downstairs powder room is ideal for visitors. The Taylor 6 also features reverse-cycle ducted air conditioning, automatic panel lift door to garage for convenience and added security, landscaped and fully fenced. Luxury master suite with ensuite and walk-in robe is upstairs along with two further bedrooms and separate study nook makes clever use of the space. The Beverley also includes reverse-cycle ducted air conditioning, automatic panel lift door to garage offers convenience and added security, landscaped and fully fenced. Overlooking the new Playford Alive Town Park, this luxury Terrace offers stylish, low-maintenance living in the heart of Playford Alive’s new Town Centre. Open-plan living leading out to your very own private patio is perfect for entertaining while the kitchen has stainless steel appliances including dishwasher, rangehood and gas cooktop. Luxury master suite with ensuite and built-in robe is upstairs along with two further bedrooms. The Rianna also includes reverse-cycle ducted air conditioning, automatic panel lift door to garage offers convenience and added security, landscaped and fully fenced. The Valencia offers a high quality double storey, two bedroom design located in the heart of Playford Alive's new Town Centre. Open-plan living leading out to your very own private patio is perfect for entertaining while a second living area offers additional room to move. Stainless steel appliances including dishwasher, rangehood and gas cooktop complement the stylish kitchen. The spacious master suite features a large built-in robe and overlooks the new Playford Alive Town Park. With reverse-cycle ducted air conditioning, automatic roller door to garage for convenience and added security, landscaped and fully fenced all you need to do is move in and enjoy! The Almeria offers a high quality double storey, three bedroom design located in the heart of Playford Alive's new Town Centre. Open-plan living with private porch and balcony is perfect for entertaining. Stainless steel appliances including dishwasher, rangehood and gas cooktop feature in the stylish kitchen. The master bedroom includes an ensuite and walk-in robe while bedrooms 2 and 3 have built-in robes. The Almeria also includes reverse-cycle ducted air conditioning, automatic roller door to garage offers convenience and added security, landscaping and fencing complete this modern home by the new Playford Alive Town Park. The Marbella offers a high quality double storey, three bedroom design located in the heart of Playford Alive's new Town Centre. The open-plan living is perfect for entertaining while the stylish kitchen features a spacious pantry and stainless steel appliances including dishwasher, rangehood and gas cooktop. Luxury master suite features his and hers walk-in robe and ensuite and bedrooms 2 and 3 include built-in robes. The Marbella also includes reverse-cycle ducted air conditioning, automatic roller door to garage for convenience and added security, landscaped and fully fenced. The Ellington offers a high quality double storey, three bedroom design located in the heart of Playford Alive’s new Town Centre. Open-plan dining leads out to your very own private courtyard, ideal for entertaining while the private balcony upstairs overlooks the new Playford Alive Town Park. There are three bedrooms upstairs along with the main bathroom while downstairs, the study nook makes clever use of the space and the powder room is perfect for visitors. The Ellington also includes deluxe stainless steel appliances in the kitchen, footings and siteworks, 6-Star Energy Rated, split-system reverse cycle air-conditioning, landscaped and fully fenced. The Alton offers a high quality double storey, three bedroom design located in the heart of Playford Alive’s new Town Centre. Large, open-plan living leading out to a spacious courtyard is perfect for entertaining, while a second lounge room offers additional living space. The master bedroom has a large walk-in robe and ensuite while the private balcony overlooks the new Playford Alive Town Park. Two additional bedrooms and main bathroom with freestanding bath are on the second level with an additional powder room downstairs. The Alton also includes deluxe stainless steel appliances in kitchen, all footings and sitework, 6-Star Energy Rated, split system reverse-cycle air conditioning, landscaped and fully fenced. The Upton offers a high quality double storey, two bedroom design located in the heart of Playford Alive’s new Town Centre. The main open-plan living area is upstairs and has its own private balcony overlooking the Playford Alive Town Park, while downstairs, a second living area and media room (or third bedroom) open out to the patio. Large master bedroom upstairs, whilst downstairs offers a second bedroom both with separate bathrooms. The Upton also includes deluxe stainless steel appliances in kitchen, all footings and siteworks, 6-Star Energy Rated, split system reverse-cycle air conditioning, landscaped and fully fenced. The Austin offers a high quality double storey, three bedroom design located in the heart of Playford Alive's new Town Centre. The clever design of the Austin offers open-plan living, outdoor alfresco entertaining area and upstairs multi-purpose room or study offering ample space for work and play. Stainless steel appliances including dishwasher, rangehood and gas cooktop in the kitchen will have you entertaining in no time. The two large bedrooms have built-in robes. The main bathroom is upstairs while a powder room downstairs is perfect for visitors. With all this and more, all you need to do is move in and enjoy! This terrific two storey terrace design offers a light-filled and spacious open-plan design, leading to your own alfresco entertaining area. With stainless steel appliances including dishwasher, rangehood and gas cooktop in the well-appointed kitchen, split system, reverse-cycle air conditioning, two large bedrooms with a spacious master featuring a walk-in robe, you have everything you'll ever need and all in the heart of Playford Alive's Town Centre. The Soho introduces 2-storey affordable terrace living to Playford Alive and is located in the heart of Playford Alive's new Town Centre. The open-plan upstairs kitchen features stainless steel appliances including dishwasher, rangehood and gas cooktop while the living area leads to your very own balcony. The upstairs bedroom features walk-in robe and bathroom, whilst dowstairs offers another large bedroom with ensuite. This 1-bedroom home includes a master bedroom with built-in robes, ample living and an outdoor entertaining area accessible from both the bedroom and living area. The Bayswater offers a low-maintenance lifestyle with open-plan living, kitchen with stainless steel appliances including dishwasher, rangehood, gas cooktop and meals area. Relax in comfort with split-system, reverse-cycle air conditioning or throw open the doors and take advantage of the outdoor pergola. The Austin offers a high quality double storey, two bedroom design located in the heart of Playford Alive's new Town Centre. The clever design of the Austin features open-plan living, outdoor alfresco entertaining area and upstairs multi-purpose room or study offering ample room for work and play. With stainless steel appliances including dishwasher, rangehood and gas cooktop in the kitchen, and built-in robes in the the two large bedrooms, just move in and enjoy! This single-storey, 2-bedroom home offers your own light-filled, private internal courtyard which is accessible from both bedrooms. The secure rear-lane garage access combines with your alfresco area perfect for entertaining. The Ultimo offers security and a low-maintenance lifestyle with open-plan living, kitchen with stainless steel appliances including dishwasher, rangehood and gas cooktop and meals area while the two large bedrooms have built-in robes. With a private courtyard and another alfresco area, the hardest part will be deciding to stay inside or out. The 2-storey Malmo offers 2 bedrooms and a bathroom upstairs as well as a downstairs powder room. The spacious open-plan living leads to your private alfresco area, ideal for entertaining. The well-appointed kitchen features stainless steel appliances including dishwasher, rangehood and gas cooktop while both bedrooms include built-in robes. This home also offers split system, reverse-cycle air conditioning, a freshly landscaped garden with modular fencing and an automatic panel lift door to garage offering safety and added security. The 1-bedroom, single-storey Glebe offers security and a low-maintenance lifestyle with open-plan living and an outdoor pergola ideal for entertaining and relaxing. Featuring stainless steel appliances including dishwasher, rangehood and gas cooktop in this well-appointed kitchen, a split system, reverse-cycle air conditioning and an outdoor pergola area, all your entertaining needs are covered year round.